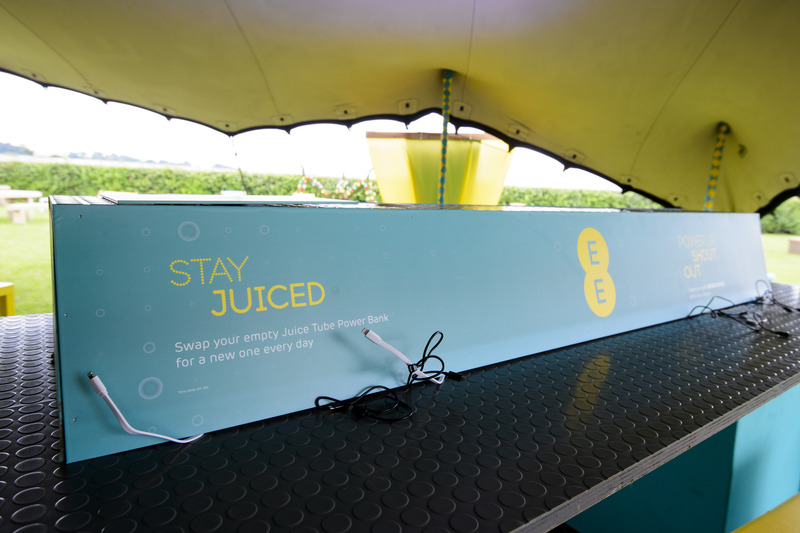 Working with EE’s global entertainment agency, Imaginators took over Glastonbury music festival and delivered ‘4GEE Charging Bull’. 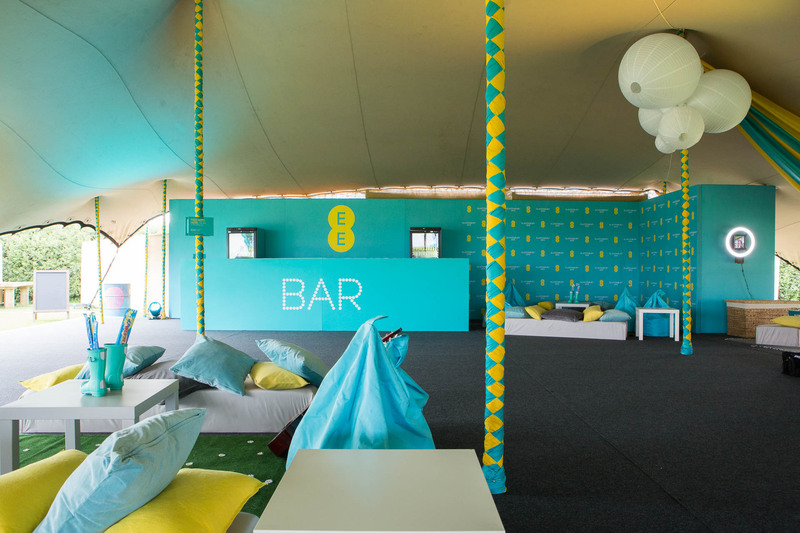 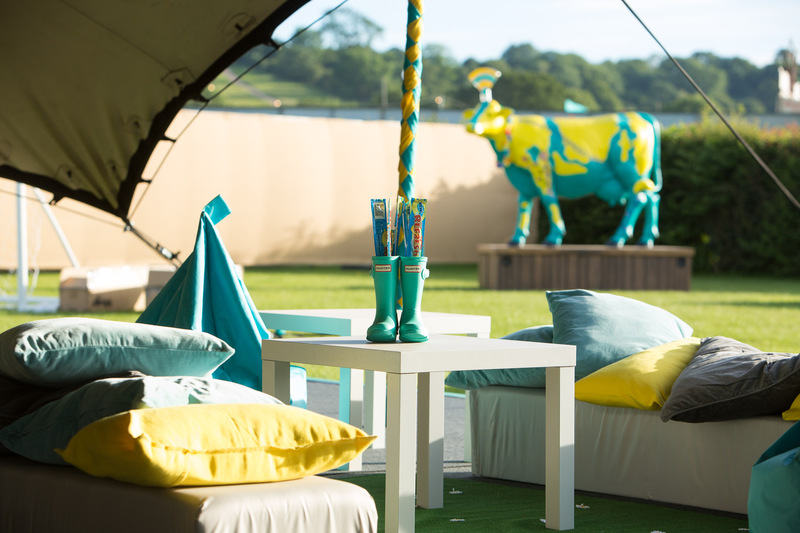 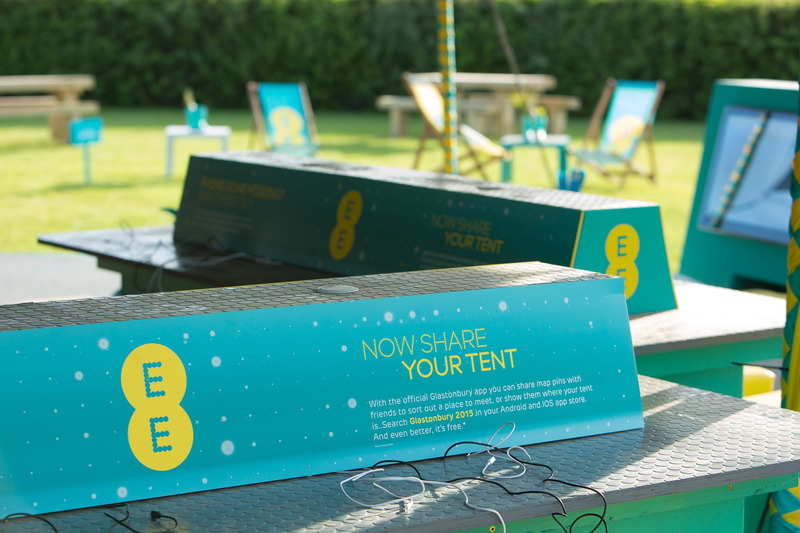 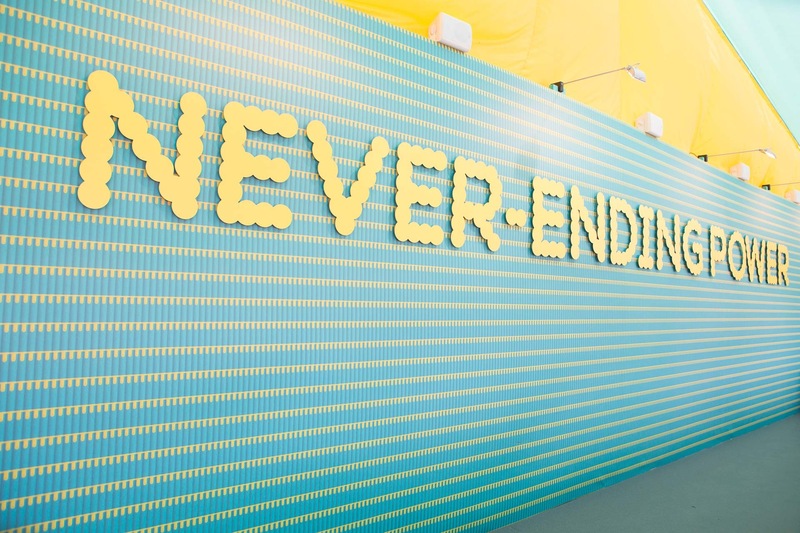 marquees, tents, bars, DJ desks and VIP areas for guests to relax, unwind and experience the EE brand. 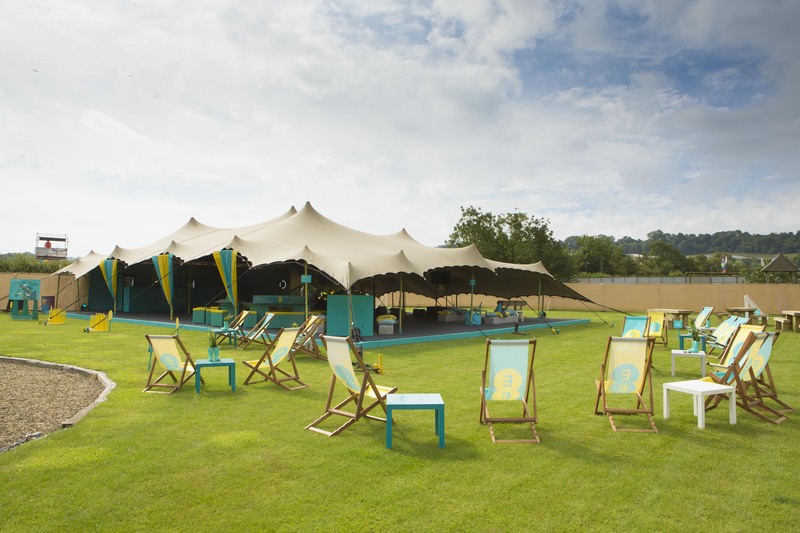 After weeks of pre-production, Imaginators 4-strong installation team arrive at Glastonbury to project manage and install over 400 differing pieces of printed branding over 5 long days and nights which included wrapping large structures with giant digitally printed images, cladding walls with huge textile prints and applying vinyl to a variety of surfaces.